Turkish voters will cast their ballots in the upcoming elections on June 24. The elections have been characterized by accusations of corruption and election fraud. Now as the Turkey elections draw nearer, violence has also surfaced. After narrowly surviving a military supported attempted coup in 2016, Turkish President Recep Tayyip Erdogan has made moves to secure his power and clamp down on the opposition. This past April, Erdogan made his latest move to secure power. The Turkish President announced the general elections would be moved forward by 18 months from November 2019 to June 2018. Experts suspect a number of motivations behind the move of the Turkey elections. For one, moving forward the elections threw a wrench in the organizational abilities of the opposition. As of April, there were few, if any people with the following to seriously threaten Erdogan’s reign. Moving the elections forward prevented opposition from being able to cultivate a wider following behind these figures or mobilize public support for their campaign platforms. Moving forward Turkey’s elections isn’t just about diminishing the opposition. In April 2017 Turkey’s constitution was amended to grant greater powers to the country’s president. The measure only passed with the help of Erdogan’s allies in Parliament. Many experts alleged that the campaign was rife with electoral fraud as well. The changes grant the president the right to declare a state of emergency, set decrees, dissolve parliament, and make high level appointments. While Erdogan was obviously a supporter of the measure, the problem is that the new presidential powers do not go into effect until the next elected president takes office. 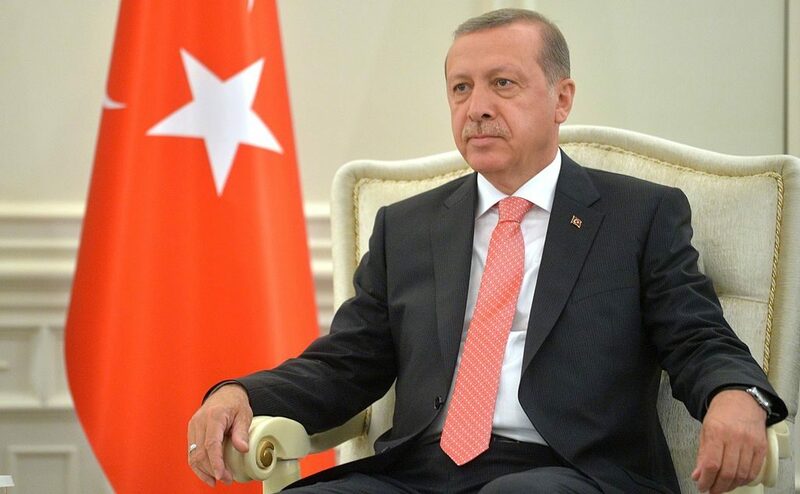 Pushing forward the elections would allow Erdogan to step into his new powers more quickly. Erdogan and the ruling Justice and Development Party (AKP) have been vocally anti-Kurd, characterizing Kurdish separatists as terrorists. Violence broke out this week in the town of Suruc, which is home to a mostly Kurdish population. Thursday, an MP from AKP on a tour of local shops somehow lead to violence, but accounts differ over how. Pro-government reports claim that militant Kurdish shopkeepers attacked the MP’s entourage. The pro-government reports claim that the Kurdish militants who started the violence are supporters of the Peoples’ Democratic Party (HDP), a pro-Kurdish party participating in the upcoming elections. Kurdish sources claim that it was the MP’s bodyguard who began the violence by opening fire after perceiving a hostile environment. Regardless of who started the violence, it is clear that people were injured. Four were killed in the clash and eight taken to the hospital. The police made 10 arrests. HDP’s presidential candidate, Selahattin Demirtas, was arrested in November 2016 for alleged links to “terrorist propaganda.” Demirtas was among hundreds arrest amid Erdogan’s post-coup purge. Demirtas is running his presidential campaign from prison. The BBC reports the violence may have been caused by a leaked video that seems to show Erdogan instructing party officials to prevent Kurds from voting. The video, which was leaked on social media, shows Erdogan, telling party officials to do whatever it takes to prevent HDP votes. He reminds them they have the voter registry for each neighborhood and they should “do what is necessary” with them. While Erdogan’s supporters claim he is advocating for legitimate campaign strategies, his detractors disagree, arguing that Erdogan promotes intimidation of Kurdish voters, and worse. Turkey Elections: Could Erdogan Lose? The ruling party, AKP, could risk losing its majority in Parliament if pro-Kurdish HDP can secure more than 10% of the votes. Erdogan is hoping to win reelection as the nation’s president, but he’ll need to secure more than 50% of the vote in order to avoid a runoff election. Opinion polls have favored incumbent Erdogan, but his path to victory does not come without its challenges. The campaign of Muharrem Ince of the center-left Republican People’s Party (CHP) has been gaining speed, maybe not enough to prevent Erdogan from grabbing power again, but enough to force him into a runoff. Ince, a leftist, facing a conservative leaning population, presenting significant difficulties in his campaign. Erdogan is also facing a challenge from Meral Akşener, former Minister of Interior. Akşener is the founder of the secularist, center-right Good Party (İyi Parti). Although Turkey was one of the first nations to grant women the right to vote, Akşener stands to become the first female president of Turkey. Like most elections, one of the main issues of the election is the economy. Inflation in Turkey is at 11% and the Turkish lira has plummeted in value. One of the biggest issues in Turkish political life is always the question of secularisms vs. religion. Many have accused Erdogan of allowing a “creeping Islamization” of the Turkish state. Akşener is a staunch secularist, presenting an alternative for more conservative voters who reject Erdogan and his agenda. In addition to calling for reforms that would help Turkey achieve EU membership, Akşener and Iyi have promoted a return to the secularist and nationalist views of Mustafa Kemal Atatürk, the founder of the modern Turkish state. There are also security concerns at play. Kurdish separatists and militants always come into play during the election season. Erdogan has positioned himself as the defender of the Turkish people against Kurdish militants; in May he promised fresh military action against Kurdish militants. Ince, on the other hand, has courted the Kurdish vote, while Erdogan has sought to oppress it. Although a nationalist candidate, Ince has vowed to introduce the teaching of Kurdish into Turkish schools and resolve conflict with the Kurdish minority.